Without it, Nevada's children fall behind. child has a chance to thrive. And when our children thrive, Nevada thrives. 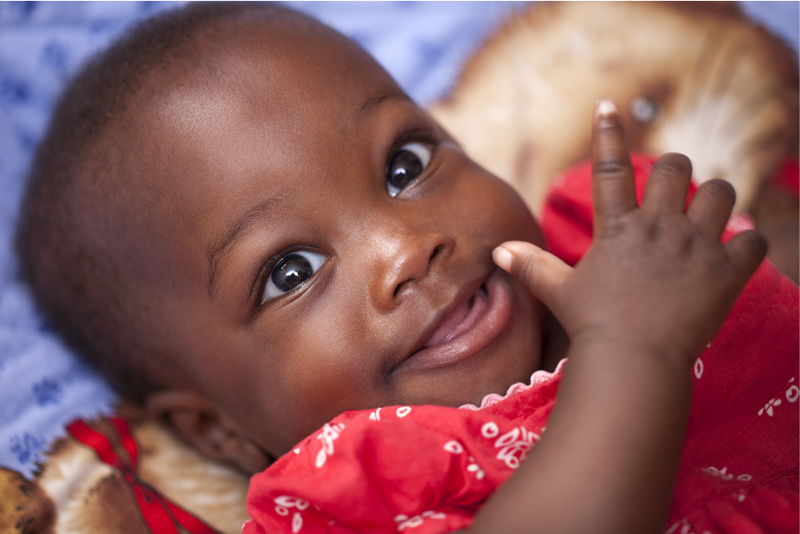 The Children’s Advocacy Alliance is committed to ensuring that all children live in safe and nurturing environments, free from abuse, neglect, violence and other hazards. We're committed to ensuring that every child in Nevada has the opportunity to enter school ready to learn. Learn more about our efforts. 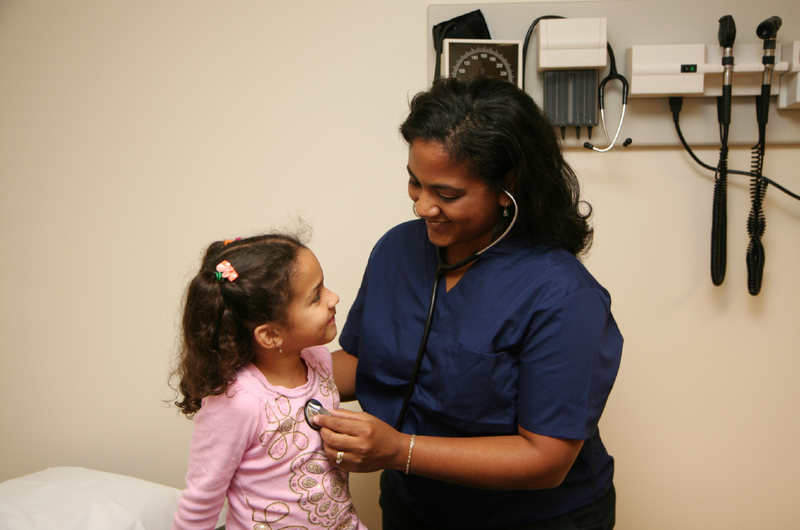 The Children's Advocacy Alliance wants to ensure that every child in Nevada has the opportunity to grow up healthy, from the prenatal period all the way up through their teen years. 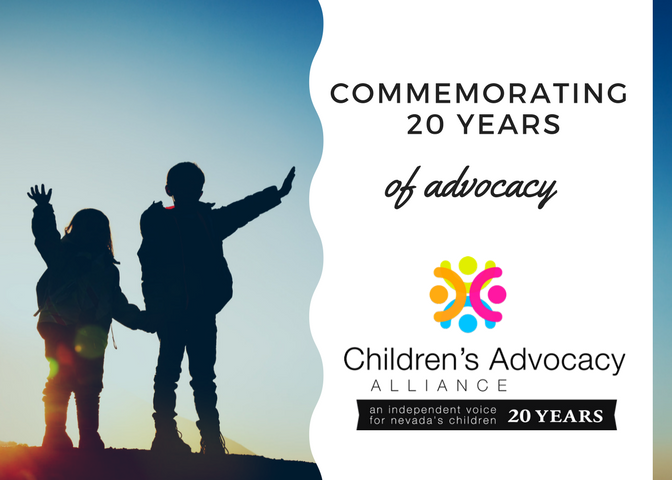 The Children's Advocacy Alliance is excited to commemorate 20 years of advocating for the children and families of Nevada! 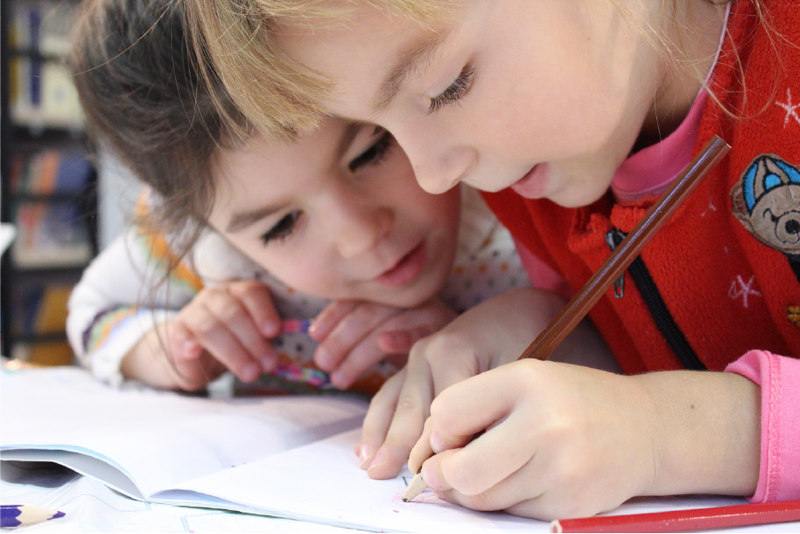 Over the last 20 years, we have worked diligently to ensure that every child in Nevada has the opportunity to be safe and healthy, with the ability to enter school ready rto learn and succeed in life. We have worked to support children who have been abused and neglected, to ensure children have access to high quality learning programs and to improve their overall health and well-being. As we celebrate the last 20 years of positive change for Nevada's children, we will highlight some of our most meaningful accomplishments. Join us in this journey of change and support us as we work towards 20 more years!